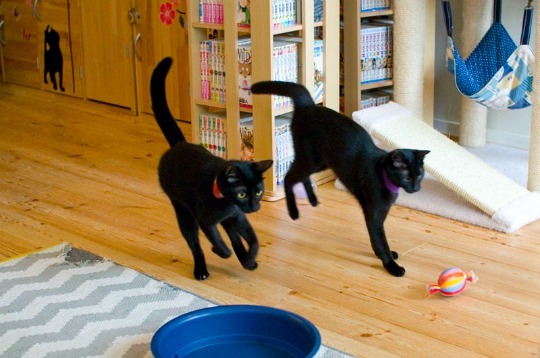 Welcome to Nekobiyaka, the only existing cat café dedicated to black cats. 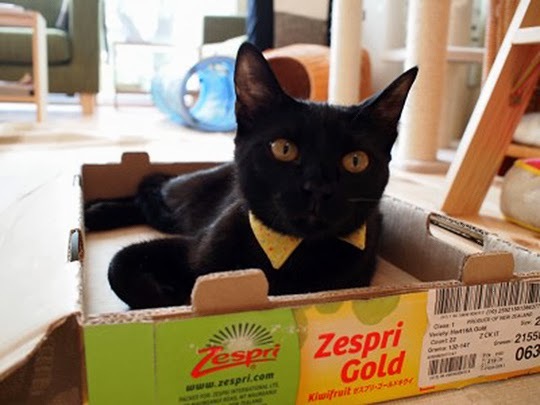 Situated in Himeji, Japan, Nekobiyaka started like any other cat café, hosting an array of different cat breeds and colors. 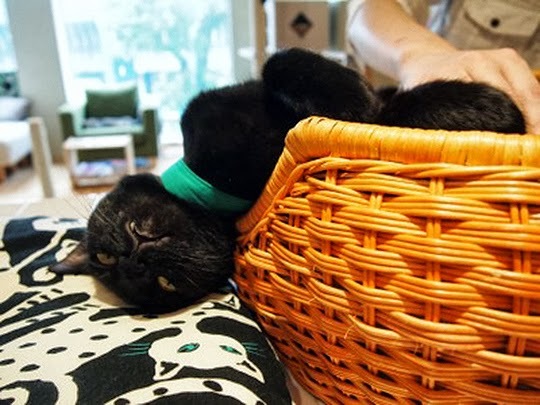 They went through a grand renewal and re-opened as a black cat specialty café. 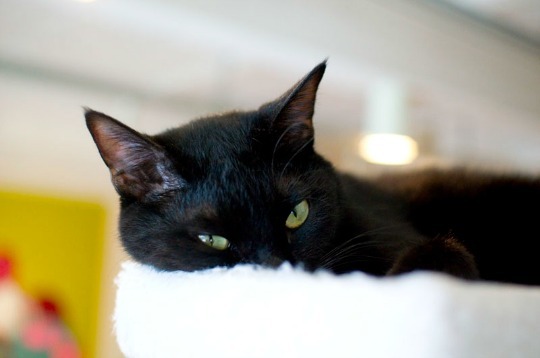 For an hourly fee of Y1000, you can enjoy a drink while getting to know Nekobiyaka's black felines. 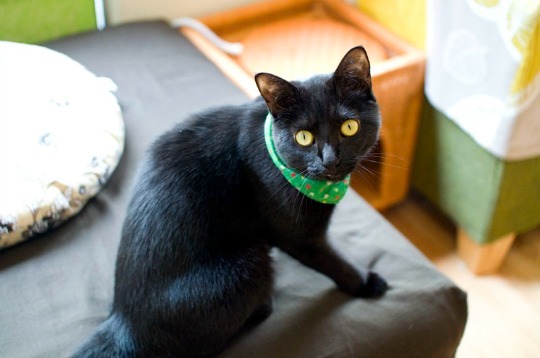 Since it's hard to tell the black cats apart, they all wear different colored bandanas, and their names incorporate each color. Open from Monday to Saturday from noon to 9 pm (Sunday 7 pm). Closed Tuesdays. Wow, that looks like a pawsome place to visit. I've heard of these cat cafes, but I've never been to one myself. Love the little collar on the last cat. 4 op een rij, grappige en liev foto! OMD the second one....BOL funny. Have a wonderful Wednesday. Maybe I should charge my peeps an hourly rate to play with me. Absolutely love the pic of them feeding! 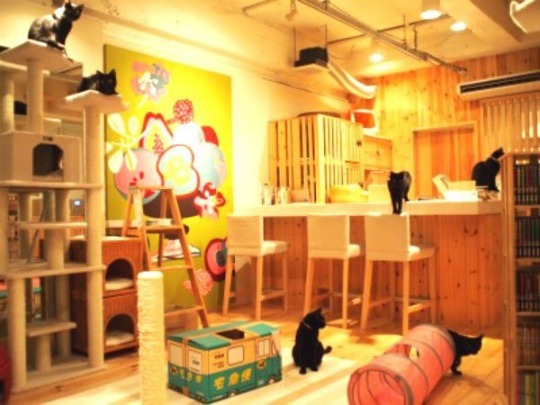 Always wanted to check out a cat cafe :) I love that this one is only for black cats! they are so cute and I love their bowls! What a wonderful idea! So adorable. 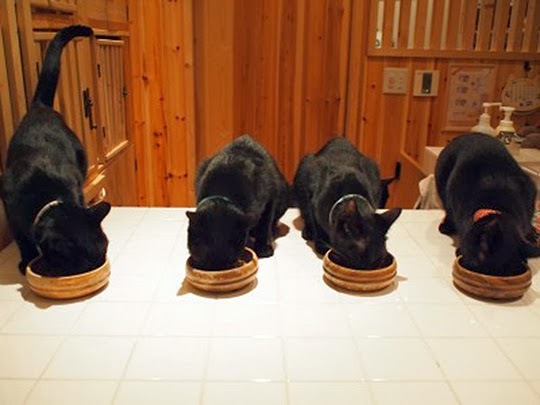 We love black cats....so that's our kinda place! We haven't gone to the Cat Cafe before... but we fully intend to when we get a chance to go to Japan... I'm going to the Dog Cafe first! Now that's a cafe I can go for! I'm a huge lover of black cats. Thanks for sharing!